Gigi Brand epilating strips for all soft waxes. This package contains 100 pieces of 9" x 3" waxing strips. 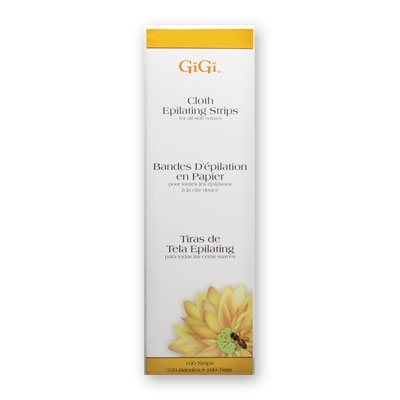 Although Gigi refers to this product (Item #0510) as 'cloth' strips, they are actually pellon. Most esthetics refer to this item as a 'non-woven' or 'pellon' depilatory strip.